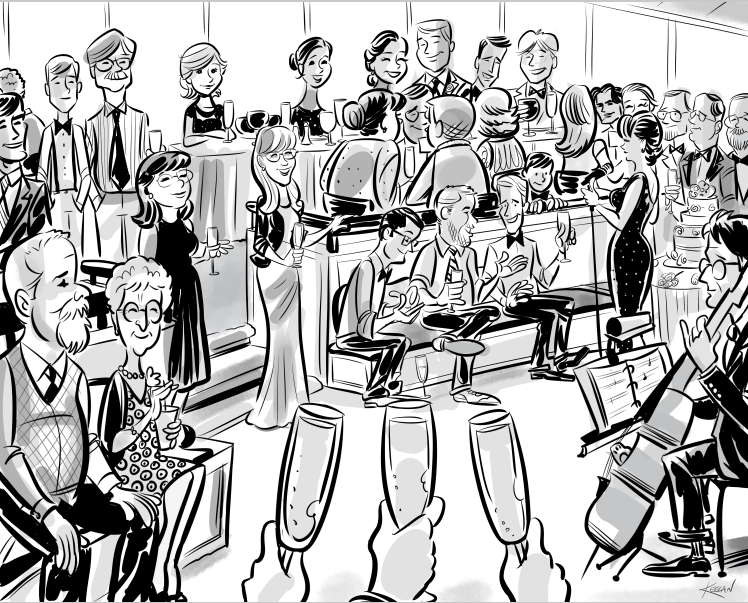 Here’s a drawing I did live at a wedding reception a couple of weeks ago, that I thought turned out cool. This reception was at Disney’s Living Seas in a super elegant, super private room that is on the other side of the water tank. Park guests never see this room, and it’s cool to see fish, sharks, and even sometimes Mickey himself swim by ( in his scuba gear ), as you’re working.